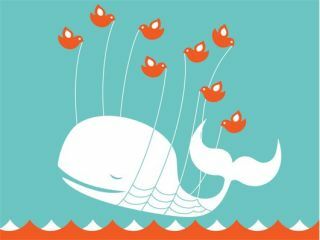 The end of the search-based fail whale? Twitter could be looking to add Facebook-style brand pages in a bid to somehow make money from the popular pro-brevity social networking site. Despite having over 200 million users and a five-year ancestry, Twitter still struggles to actually bring in any cash. The move to brand pages would offer advertisers an incentive to hand over the moolah in return for a dedicated space for pushing their own messages and products just as they do on Facebook. Meanwhile, Twitter users can now enjoy a better recommendations experience; the network has made it easier to find Twitter accounts that are based on your interests. Previously, search results were returned based on whether your search query was included in a Twitter username – so if you searched 'tech', you'd generally get Twitter accounts that have the word 'tech' in the name. @TechRadar would, naturally, be somewhere among them, but other tech-focussed sites whose names are a little more obscure would be missed. It's not clear exactly how the new algorithm works – perhaps by examining recent tweets or by looking at an account's bio – but it's nice to see Twitter putting a bit of effort into the search functions which have always been a bit iffy.